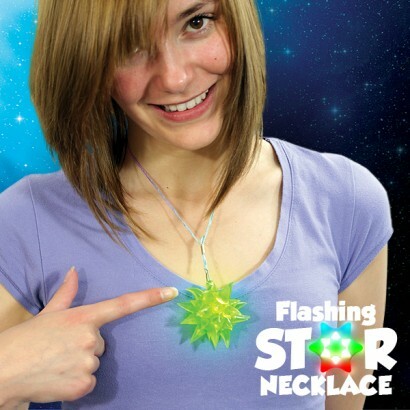 Super soft and super bright, this squidgy rubber star necklace may be small on size but it's huge on effects! 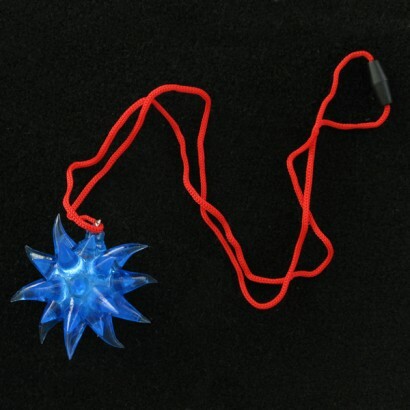 Squeeze on to activate and multi coloured LEDs inside the soft spiky outer shine with big colour effects! 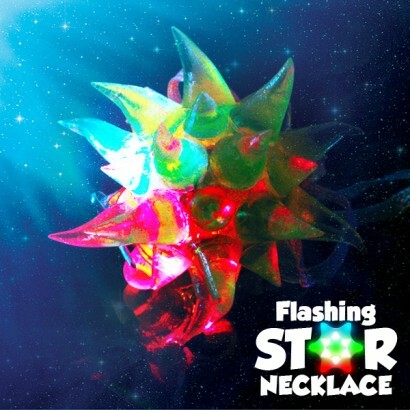 Supplied on a break away safety cord, this funky necklace is fantastic for hands free flashing fun, and it's spiky, squidgy outer make it fantastic for sensory classes too! 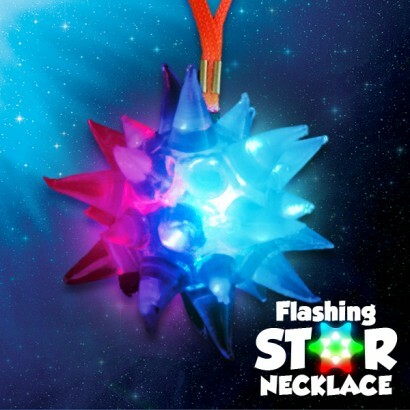 I ordered flashing star necklaces for party bags. All came in time however 1 did not work. Rang the company and they offered a refund or to send 1 replacement in first class post. Received well. Very polite and good customer service! Brought these for a festival. They looked great and kids loved them. Could certainly see my son a way off! Brought for some house parties over Christmas and loved by all ages! However was lucky I ordered spares as one stopped working virtually immediately and another within 30 mins, the rest are still going strong however! 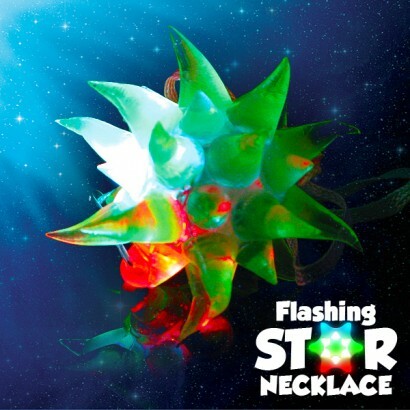 My 6 month old son goes to a baby sensory class, and they were using the flashing stars (without the necklaces). He absolutely loves them, so I purchased 6!! 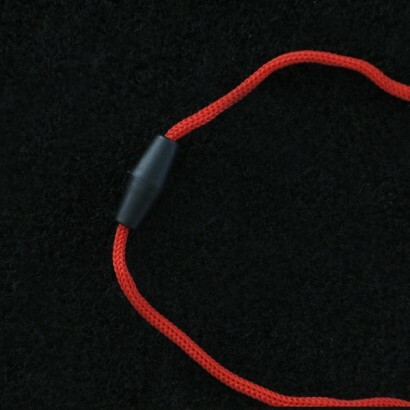 They are a fantastic price, very fast delivery and I will be using this website again.